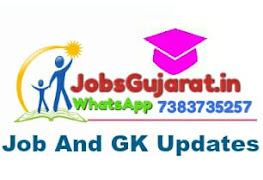 Gujarat Forest Guard Admit Card 2019: Candidates can download their Gujarat Forest Guard Admit Card from the official website of the Gujarat Forest Department @ forests.gujarat.gov.in and also from the official Govt Recruitment portal of Gujarat @ ojas.gujarat.gov.in. The Gujarat Forest Guard Call Letter is set for release about 10-14 days before the exam date. The Gujarat Forest Department has not yet released the official Gujarat Forest Guard Admit Card 2019. But they have claimed that the Call letter should be out shortly before the exam date. Candidates can expect to receive the Forest Guard Call Letter about 2 weeks before the Exam. Once the official Admit Card is out, candidates can download it from the official website of the Gujarat Forest Department. We have made this process simple for you as there is a download link present below. Keep in mind that since the Gujarat Forest Department Admit Card has not yet been released, the link is presently inactive.